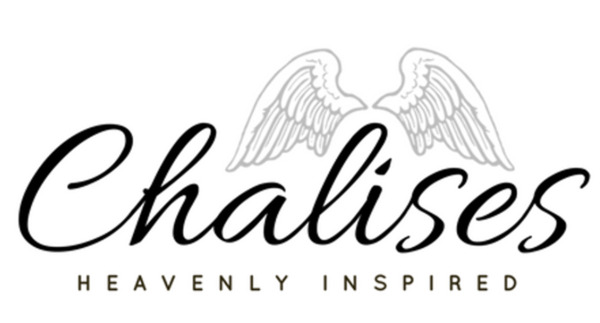 Chalises Hair Care product line is made from 100% Natural ingredients. African Black Soap Shampoo, Aloe & Argan Hair Conditioner and 11 Herbs & Oil Hair Treatment Oil! A system built to help your hair, scalp, and skin! Black Soap & Flaxseed Shampoo is very deep cleansing to the scalp, hair and body. Shampooing with the black soap should only be used maybe once every 3 weeks or so. Applying the Aloe & Argan Hair Conditioner is always recommended after shampooing with the black soap. In between the black soap shampoos, you may use the conditioner as a cowash, and/or as a leave in, it works to soften and detangle the hair. 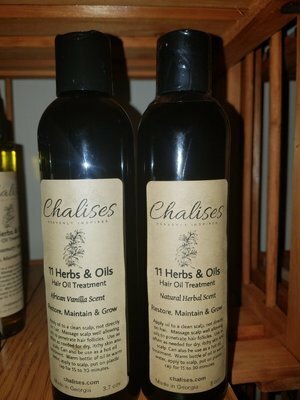 Massage the 11 Herbs & Oils Hair Treatment for Growth into the scalp daily using a few random drop, not directly on the hair. Allowing the oils to penetrate your hair follicles and be absorbed into your hair. May also be used as a hot oil hair treatment. Please feel free to contact me at adrienne@chalises.com, with any questions. I'd appreciate any positive feedback of your experience with these and any of our products through Facebook, Twitter, or Instagram @chaliseshi. READ>> West African Black Soap: Not Just for Black People for some insight about our favorite ingredient in our liquid soaps and shampoos!